Last month we had our first experience of the AS 200 and we really liked it. Essentially an 200NS under the new quarter fairing, the AS 200 turned out to be a more usable motorcycle and also better value for the same price as the naked NS. Now we've got our hands on the motorcycle to run the numbers as well as go for a long ride to see what's what. The Pulsar immediately feels welcoming. The riding position is comfortably upright with the legs canted slightly backwards. 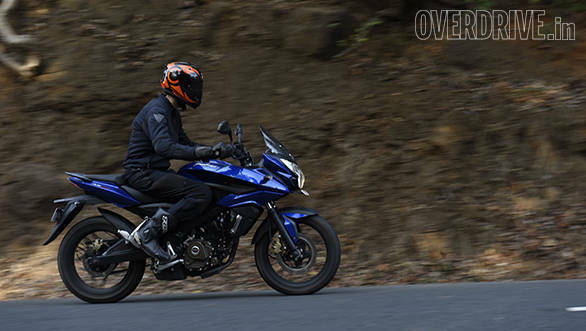 The overall position is comfortable for all-day riding but has a hint of sportiness to make sure the ride stays involving. I did find that the soft rider seat (the pillion seat is firmer) can get painful after a few hours in the saddle. What's nice out on the highway is that the new screen deflects a fair bit of the wind. 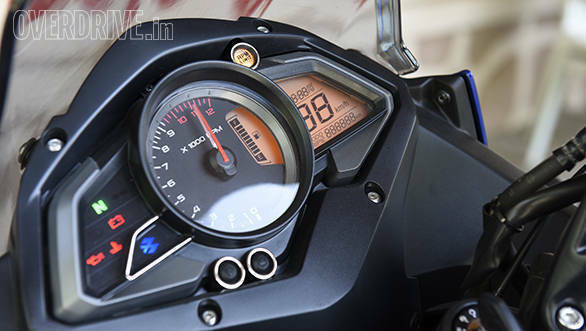 On most bikes wind blast only becomes a hassle above 120kmph, which is just about the maximum point at which the AS 200 can hold speeds with reasonable comfort. Vibrations are minimal at the bars and while they do creep in at the pegs and seat at high revs, they don't get overwhelming. High speed cruising is not only possible but quite comfortable. What lets the AS 200 down, and we mentioned this earlier as well, is the finish quality. These are different motorcycles from the ones we rode earlier but they still have haphazard and unmatched gaps on the handlebar where the mirrors, levers and grips are attached. The same goes with the body work. Uneven, sometimes even inexplicable (there's a gaping space between the plastic body work and the rear seat) panel gaps are plentiful. 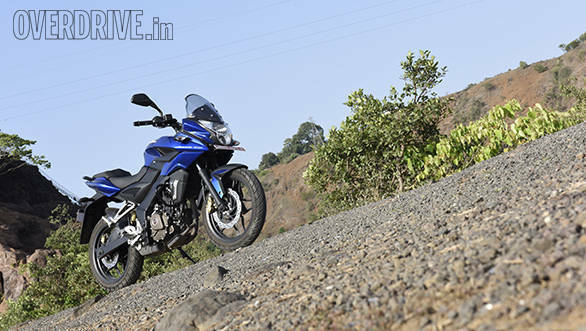 Our test bike had done just over 1,500km and there was already a buzz emanating from the fairing and the clutch lever also tended to vibrate when left untouched. Ironically the chassis and the engine feel solid but these issues generate a sensation of fragility - they make the bike feel older than it is. 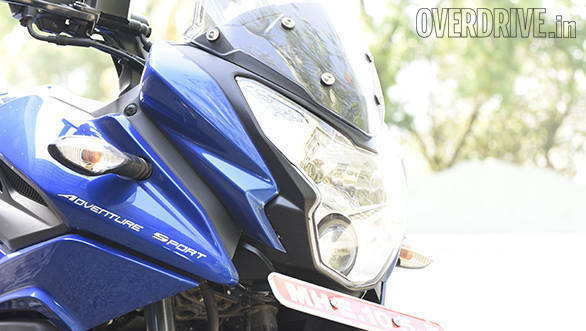 The engine is the same three spark 199.5cc liquid cooled single from the 200NS and it remains a revvy and eager motor. 23.5PS and 18.3Nm make for entertaining performance. 0-60kmph comes up in just under 5 seconds and we recorded a true top speed of 127kmph. Given enough space, the bike should go a little further, around 140kmph. We did manage to see a mild downhill assisted 150kmph on the dials but there's also speedo error to factor in. All told, this is a brisk motorcycle. On the highway, we managed to squeeze out 42.3kmpl at a steady 70kmph in sixth. This is about 2kmpl higher than the NS, thanks to the aerodynamic advantage. Overall efficiency stands at 33.75kmpl. That the Bajaj Pulsar AS 200 is a stable and planted motorcycle was apparent on the smooth roads of Lavassa where we first rode it. But now we've seen a different dimension to the AS - it handles poor and broken roads surprisingly well. 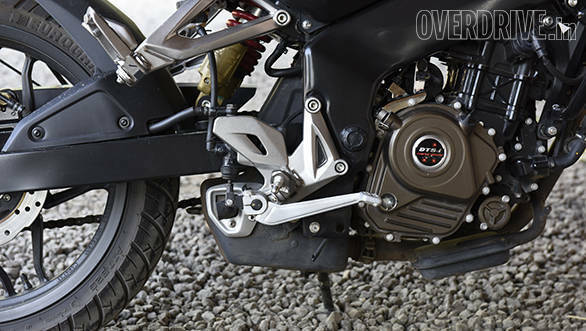 The suspension setup is plush, if a little on the firm side and it absorbs bumps and ruts confidently. 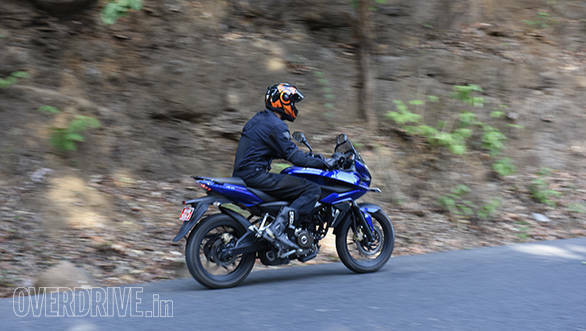 Good roads or bad, the Bajaj Pulsar AS 200 can carry some serious speeds. In fact, if this was my daily ride, the only thing that might make me back off on poor roads would be the possibility of the plastics working loose. Another example of the excellent mechanicals being let down by the quality of finish. 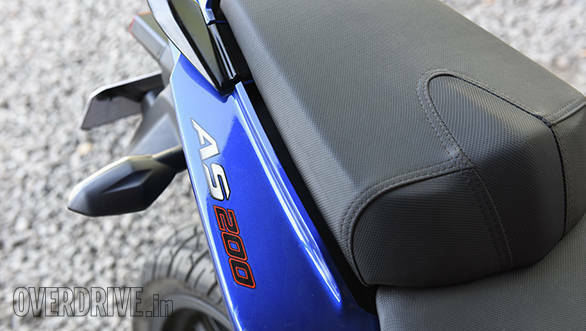 Given the on-road price of Rs 1.05 lakh in Mumbai, the AS 200 makes for phenomenal value. As a value for money touring tool, nothing comes close. Even riding at night is a pleasure thanks to the projector headlamp that its more expensive rivals from Hero and Honda don't offer. The only caveat is that you're going to have to live with the iffy build quality and rattles. If you're okay with that, the AS 200 will make for a happy riding companion.